Found 11 file extension associations related to FPS Creator and 9 file formats developed specifically for use with FPS Creator. FPS Creator is first person shooter game developing tool. 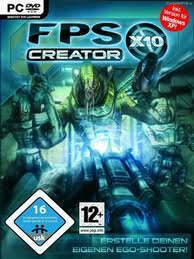 FPS Creator is albe to create action-packed FPS games with no programming or 3D modeling knowledge required. Over three years in development FPS Creator sets a new benchmark in the game creation market by providing an easy-to-use yet highly flexible editing environment. As its name implies this is a tool for creating action-packed FPS games with no programming or 3D modeling knowledge required. If you need more information please contact the developers of FPS Creator (The GameCreators), or check out their product website.